2018 has been a very dull year fashion-wise. From the reign of nepo girls to the everlasting rehash of trends barely compensating the blatant lack of creative & aesthetic rejuvenation of the last few years, its pretty hard to remain remotely excited by what fashion has to propound nowadays. 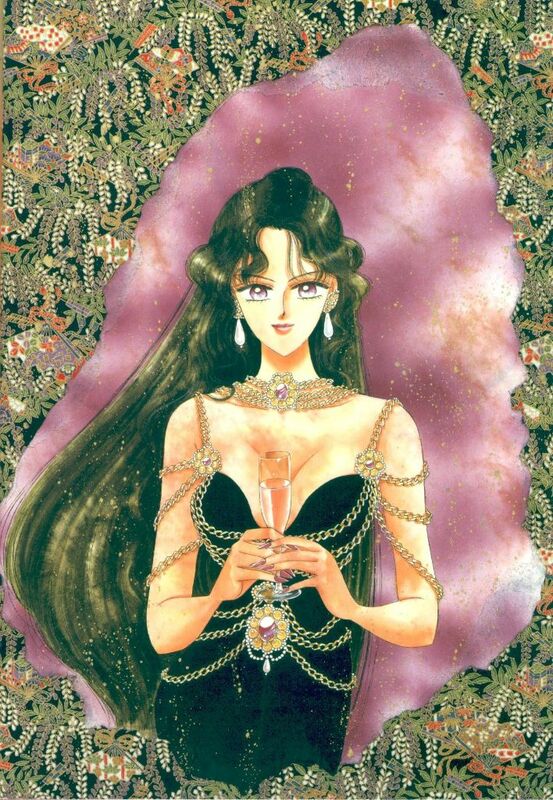 When I come to think what got me started to enjoy fashion (and subsequently driven me into deciding to pursue studies on that field), I think it’s actually through reading (shojo) mangas & watching anime that I nurtured my interest in clothing & style. 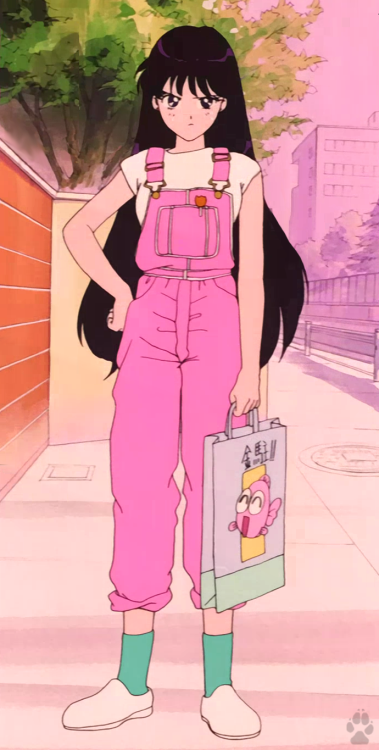 My very first manga was “CardCaptor Sakura”, and I fondly remember those marvelous outfits crafted by Tomoyo for Sakura’s adventure gear. Another anime that has liven up my childhood big time is “Sailor Moon”. 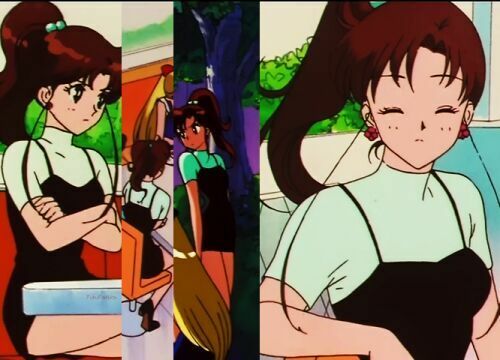 When I look back to this show, I can’t help but appreciate the attention provided to Usagi & the other sailors’ (and even the vilains) wardrobe (although this phenomenon is not unusual in shojo manga). In these days of generalized innovative creation waning, the coming back of grace of several fashion trends of the last few decades has never been more palpable, the fashion provided in “Sailor Moon” is more than ever prevailing and inspirational. 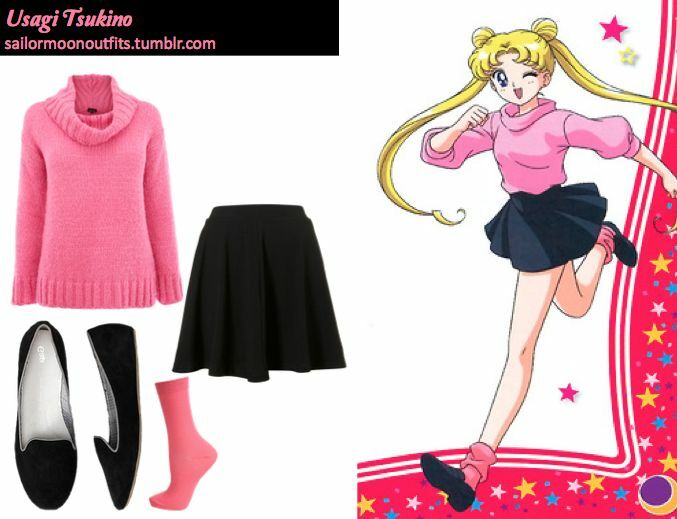 And I guess I’m not the only one to think that way since a whole tumblr http://sailormoonoutfits.tumblr.com is dedicated to the whole Sailor Moon fashion appreciation. 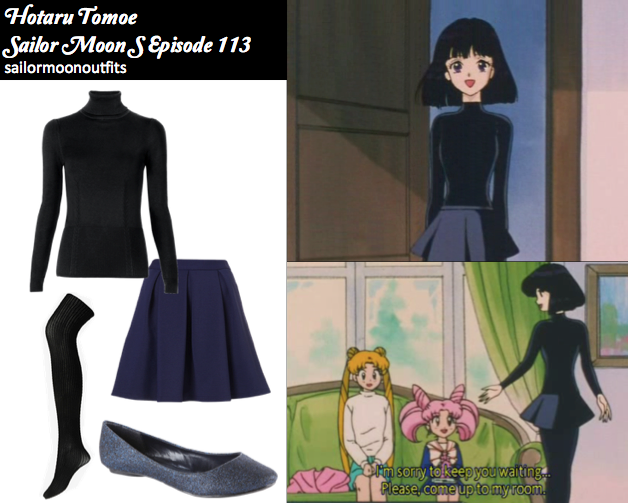 Let’s check out some of “Sailor Moon” best looks under the cut ! This lovely pink knitted pullover along with this flowing black skater skirt can be easily emulated with piece respectively trackable in New Look and American Apparel. A perfect automnal look. You can play on the cutesy-ness with matching (pink) socks and flat creepers, mocassins or any flat shoes. 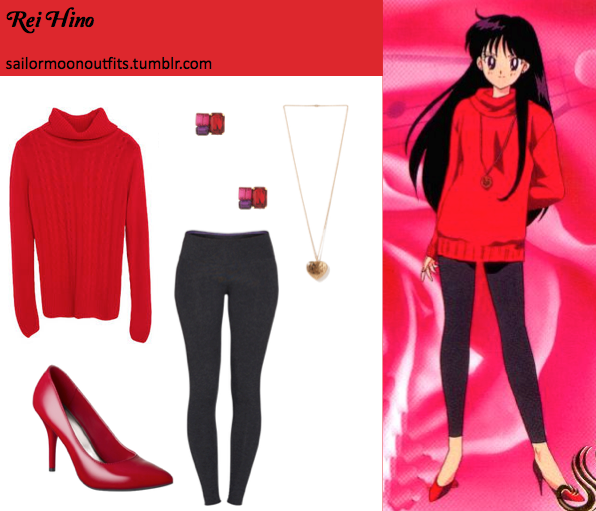 What Hotaru Tomoa is serving is somehow the darker equivalent of this outfit. To fancy-up things you can wear sparkled balerinas and break away from the dullness of the total black look. 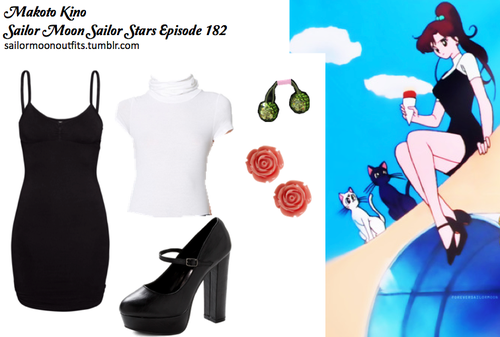 This wonderful Sailor Pluto dress is heavily inspired by vintage Chanel (1992). A #LOOK. You’ll hardly that kind of same dress in low range prêt-à-porter without looking like an expensive thot, but you still have the option of finding a sugar daddy earning a lot of money in hope of managing to afford vintage Chanel (ONE DAY). Rei iconic flashy pink dungarees trended on the web a while back this year. And rightfully so. Dungarees spotted on Asos x Dickies marketplace. Since the outfit is very simple, you can add some sophistication through the accessorization : wearing cute little earrings (of moderate size), a choker, and babies, for example. You can also play with the slighlt regressive-ness of the outfit with cute haircuts (ponytails, buns..). I might come off a bit biased because red is my favorite color, but the Red x Black combo is always winning! Decades later, I’m still looking for my childhood favorite manga & anime characters – do you think it wil be the case of today’s popular manga characters? Dear Arama readers, what are the manga or anime characters whom you do enjoy their stylish sense of style? Thank you LipstickAlley.com for the heads up!